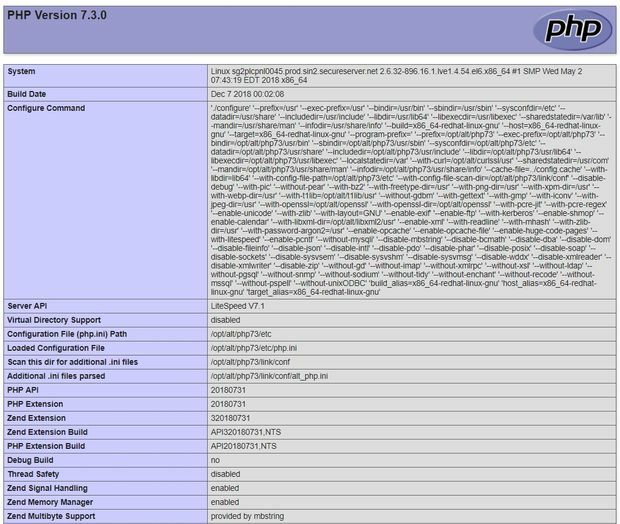 PHP info(): What is PHP configuration? PHP info is very powerful tool to know all details about PHP configuration, server environment� and server settings. It tells about the PHP version running in the server. The settings can be changed in php.ini file . In a shared hosting environment you may not get access to change your php.ini file settings. Contact your hosting provider for any changes you require or to enable features. Some of the settings inside php.ini can be changed by using ini_set() function . Here is the simple one line code for printing / showing PHP settings. Store this code in any php file and open in your server.